The tobacco lobby wants Republicans to amend a vital appropriations bill to exempt products that were introduced before May 2016 from F.D.A. review. The biggest study into the issue linked using two wheels with a halving of the risk of cancer and heart disease. A graphic Australian advertisement that highlights the link between alcohol and cancer has been nominated by drinkers as the most effective in leading them to reconsider their alcohol intake. Use of sestamibi SPECT/CT scan could spare patients with benign kidney tumors from unneeded surgery. Using mice that were genetically engineered to develop lymphoma and were missing a protein that lowers ROS in cells, the researchers showed that the serine and glycine free diet had an even bigger impact on survival. Molecular biologists have already automated the synthesis of short strands of DNA, proteins, and sugar chains, revolutionizing biomedicine. Burke argues that doing the same for natural products "could have major positive implications not just for chemistry, but for society." Researchers found that removing two non-essential amino acids, serine and glycine, from the diet of mice slowed the development of tumours. The diet could also make traditional cancer treatments more effective. But the report's authors warn against following a do-it-yourself diet. Investigators will combine Prostvac with Yervoy and Opdivo in 10 patients with castration-resistant prostate cancer. Then they’ll push enrollment to 55 and divvy up the patients into three cohorts, studying T cell infiltration in tumors with one-on-one combos or the triple. The market for medicines boosting the immune system's ability to fight tumors is increasingly competitive and the science is moving fast, raising questions as to whether AstraZeneca can produce a knock-out win. The 970-patient lung cancer trial assessed the effect of veliparib on overall survival in smokers. The 624-subject breast cancer study looked at the PAPR inhibitor’s impact on pathological complete response. Veliparib failed to move the needle in either case. Up until now, PARP inhibitors have been blazing a broad, long trail of success in the clinic, with Lynparza, Rubraca and now Zejula hitting a busy and growing market for cancer patients. But AbbVie won’t be joining that crowd anytime soon. 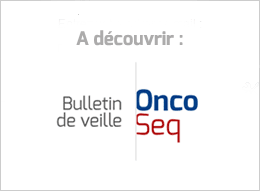 "Unfortunately, these data do not support the use of veliparib in combination with chemotherapy in these patients." The trials evaluated the effect of veliparib, in combination with a chemotherapy regimen, on patients with non-small cell lung cancer (NSCLC) and triple-negative breast cancer. Lion Biotechnologies has signed a long-running pact with the University of Texas MD Anderson Cancer Center for trials testing its tumor-infiltrating lymphocyte (TIL) therapy in ovarian cancer, various sarcomas and pancreatic cancer. He has a private jet, a pedigree of winning billion-dollar settlements, and the (sometimes grudging) respect of his adversaries. Now, he wants to become pharma’s latest headache. Officials in Brussels see things differently. Their take is that the U.K. cannot keep EMA while severing its other ties to the EU, and that the U.K. will have no say in the new location of the agency. That is a decision for the remaining 27 member states. The only role the U.K. has is to ease the transition. "We specified the 200 mg dose because that was the most commonly administered dose in the NOVA trial," said a Tesaro spokesperson, when asked to explain the dose/price discrepancy. It also makes the drug look cheaper than its competitor when it's actually more expensive. $9,833 for a one-month supply of Zejula at a dose of 200 milligrams once per day. Why did they pick 200 mg? Because, they said, that’s what the most commonly used dose was in Phase III. But hold on. The approved starting dose of the drug is 300 mg a day. Journalists were notified of a “data sheet” published by the CDC’s National Center for Health Statistics and offered interviews with the lead author. On its own, the document didn’t do a great job of pointing journalists to the most relevant data. Science advances thanks both to exploration and to replication and follow-up. However, since replication studies receive less funding and fanfare from the media and scientific communities, there seems to be little incentive to conduct them. Verily will use only one of its homegrown devices in Baseline: a wrist device called the “Study Watch” that collects a volunteer’s blood pressure, heart rate, pulse rate, and electrocardiogram readings, says Gambhir. After years of journalists getting peeks and previews, Verily unveiled it last week in a blog post. Although experts have questioned the utility of Baseline—the main concern is that “trivial” or “false” trends will be seen in the data—it is less lofty a goal than the other ambitious projects Alphabet touted when it first entered life sciences in 2012. It’s going to be interesting to see if Conrad himself (and those who think along the same lines) has actually been humbled by his Verily experience, or if he’s saving up for another round of big declarations once things start to work a little. The tech may be fast. But biology is still slow. This style of study isn’t unprecedented; in fact, it’s been a feature of medical discovery for quite some time. The most famous example is the Framingham Heart Study, which began in 1948 with about 5,000 patients.